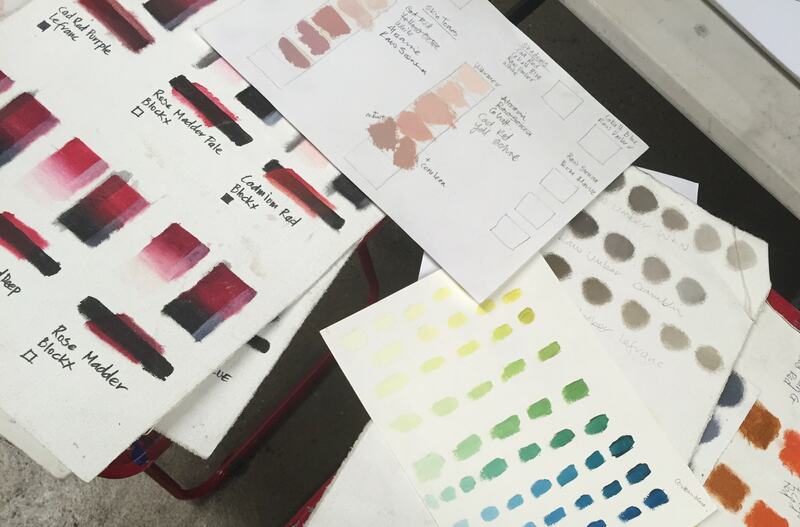 Seamlessly building on the skills and knowledge acquired in Foundation Painting 1, FOUNDATION PAINTING 2 will introduce an intensive colour component. 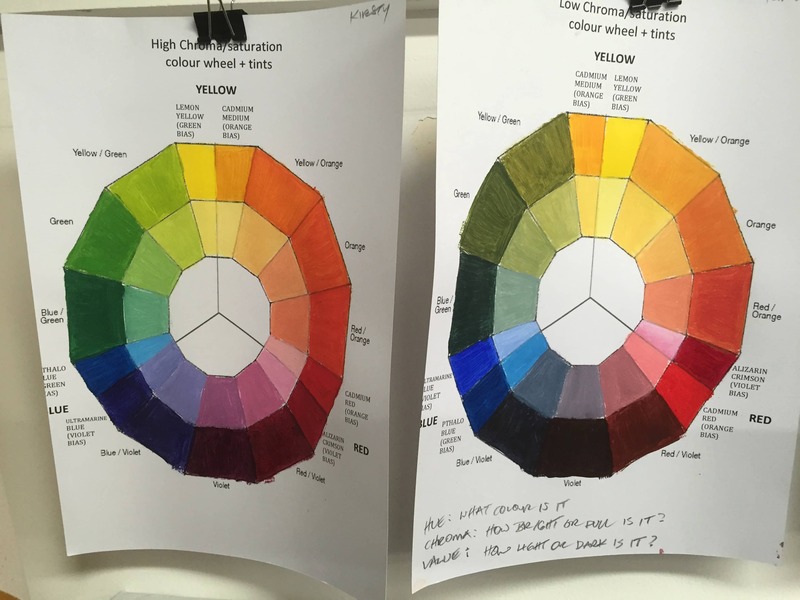 All relevant facets of colour theory and colour mixing will be thoroughly addressed and you will achieve confidence and facility with your newly expanded palette. 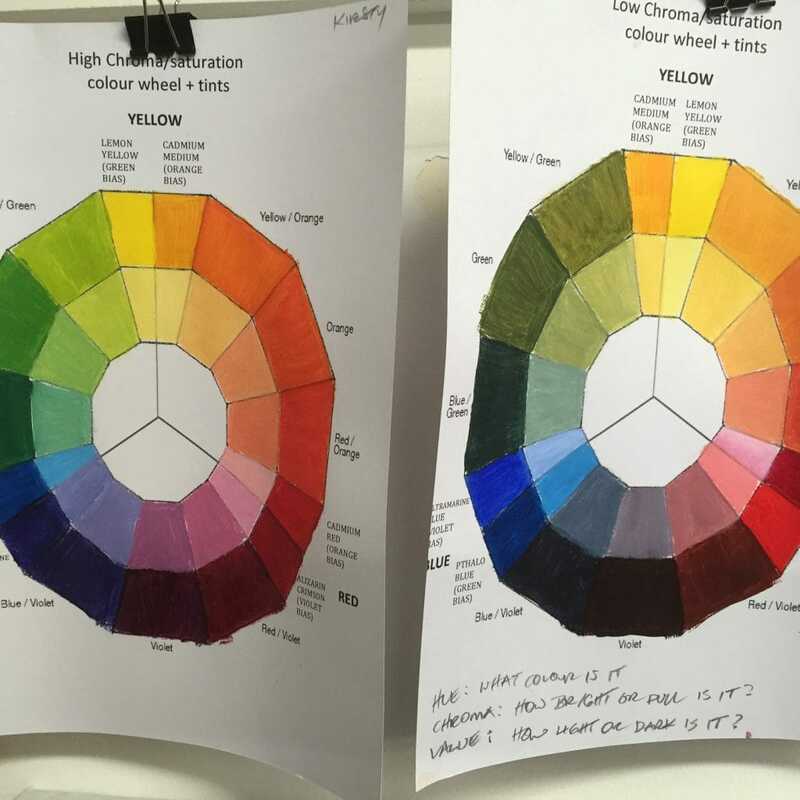 In addition to introducing the world of colour, Foundation Painting 2 will also widen the repertoire of painting methods, adding glazing/indirect painting to the mix. 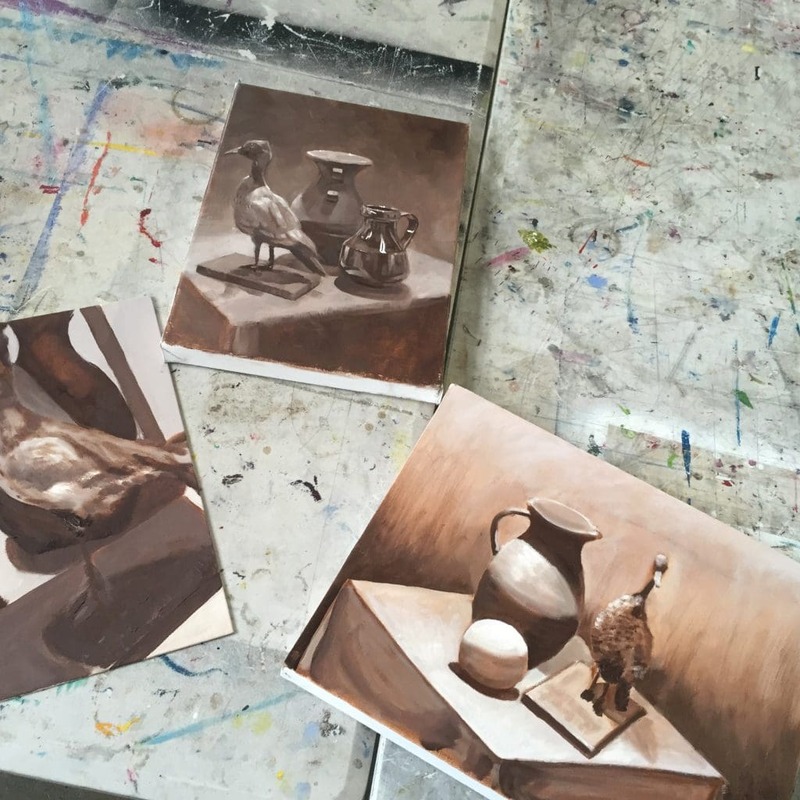 In this course you will find the opportunity to continue to hone your sighting and drawing skills, to broaden your knowledge of art history and to continue to develop your individual aesthetic and conceptual investigations. 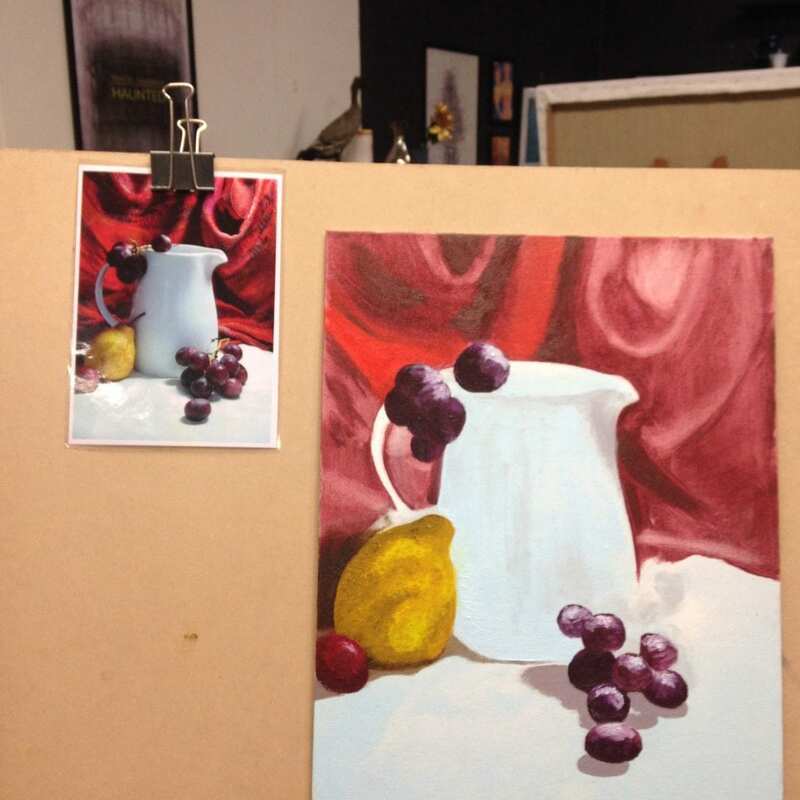 The ultimate goal of the course is to provide you with the skills and confidence to maintain an autonomous and self-motivated painting practice. 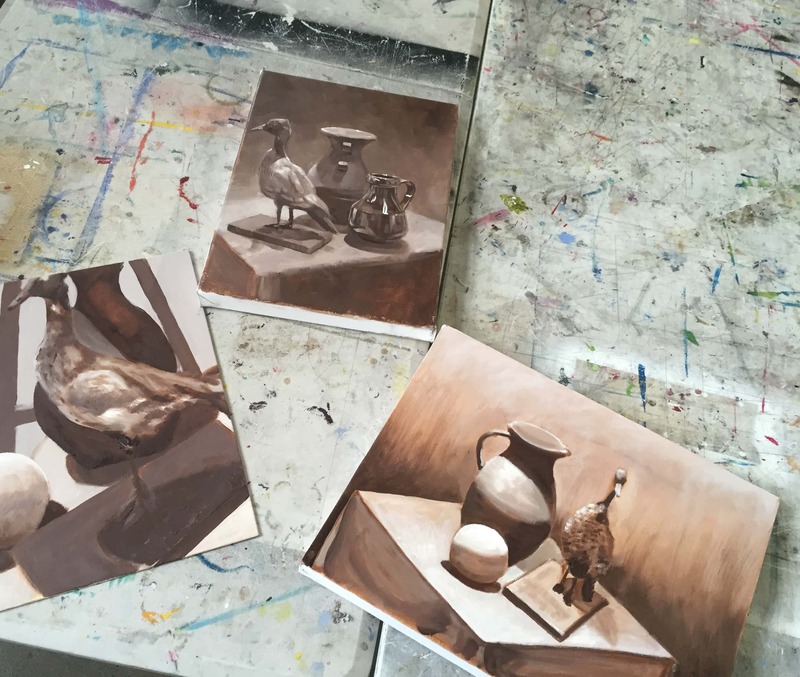 Our Foundation Drawing and Painting courses will give you the skills, knowledge and confidence to develop a lifelong and autonomous practice. The focus of these courses is not just on developing your technical skills but also expanding your visual literacy and critical thinking. We encourage and support our students to make the best work they can, by working hard and building discipline you create long term skills that transcend the duration of the course. 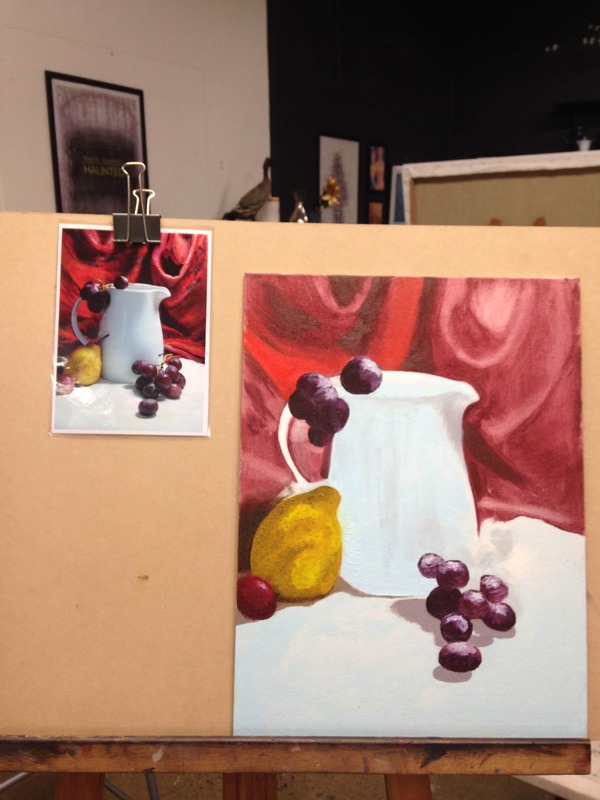 All of our teachers are professional artists who generously share their experience and knowledge. You will be exposed to a diverse range of artistic practice, both historical and contemporary, allowing you to explore your own visual motivation and experience of art. We recommend taking the foundation courses consecutively: FD1, FD2, FP1 and then FP2. Foundation 1 is a pre-requisite before enrolling in the Foundation 2 classes. Jennifer Whitten is an American artist and immigrated to Melbourne in 2009. At the start of her career her fastidious and highly skilled manner of working seemed well suited for medical illustration, but she quickly abandoned medical studies in pursuit of her own artistic investigations.